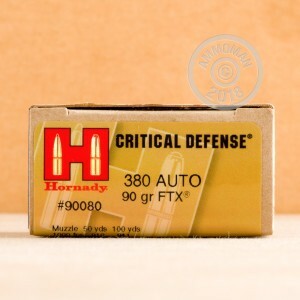 Hornady's 380 ACP Critical Defense line of ammunition was purpose-built for concealed carry purposes. 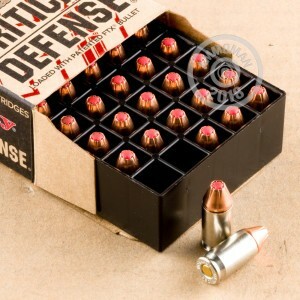 This specific line of ammo is packed in nickel cases for better visibility and proven performance. The FTX bullet was engineered for superior expansion, deep wound cavities, and optimal performance. 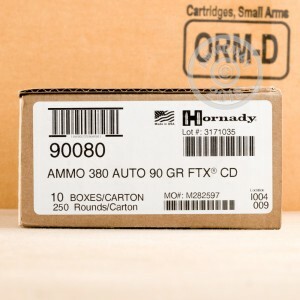 This ammunition is produced with some of the highest quality proponents on the market to ensure safety and reliability. Hornady takes pride in continually leading the industry in ammunition development and cutting edge technology. As with all of Hornady's products, this particular ammo was created with the highest quality propellants and proponents for unprecedented performance!